Beach season is open here already since long ago. 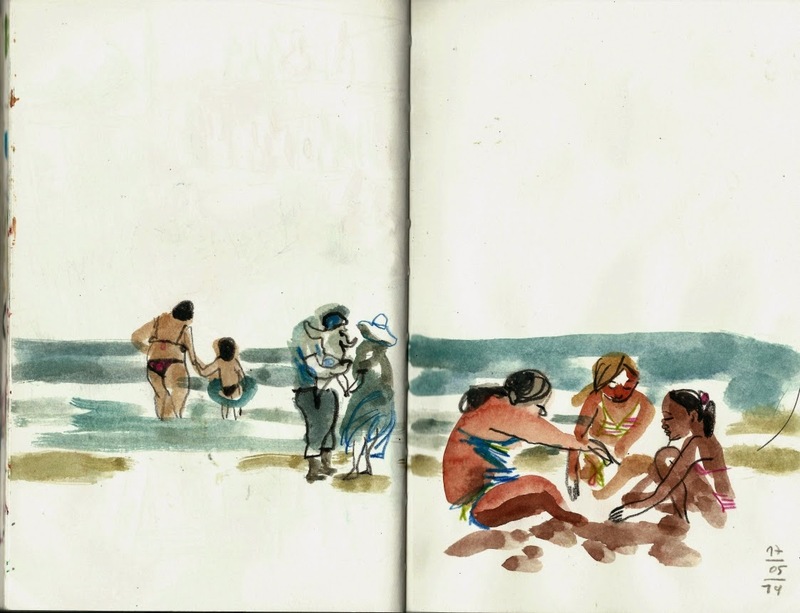 I love beaches, and at spring they are softer and calmer than at summer - really perfect time! 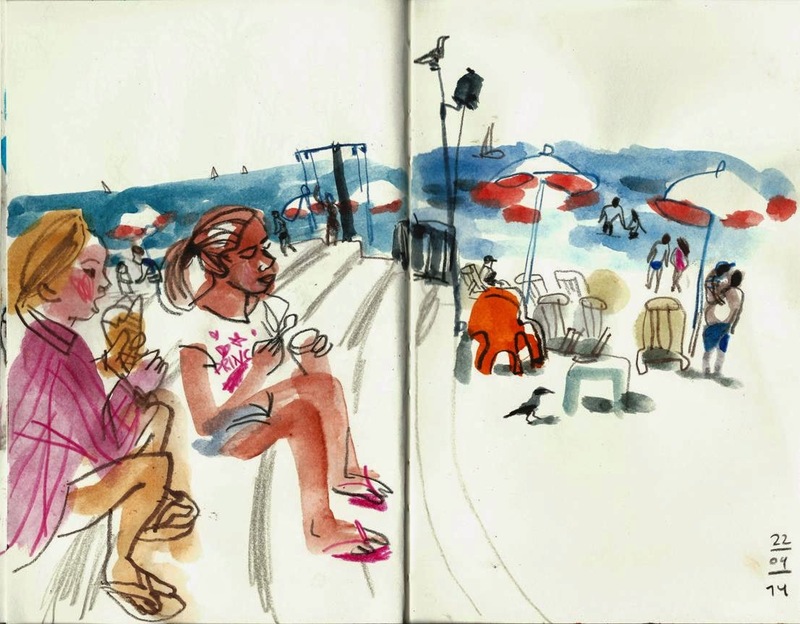 Urban Sketchers Israel's first expo is coming! 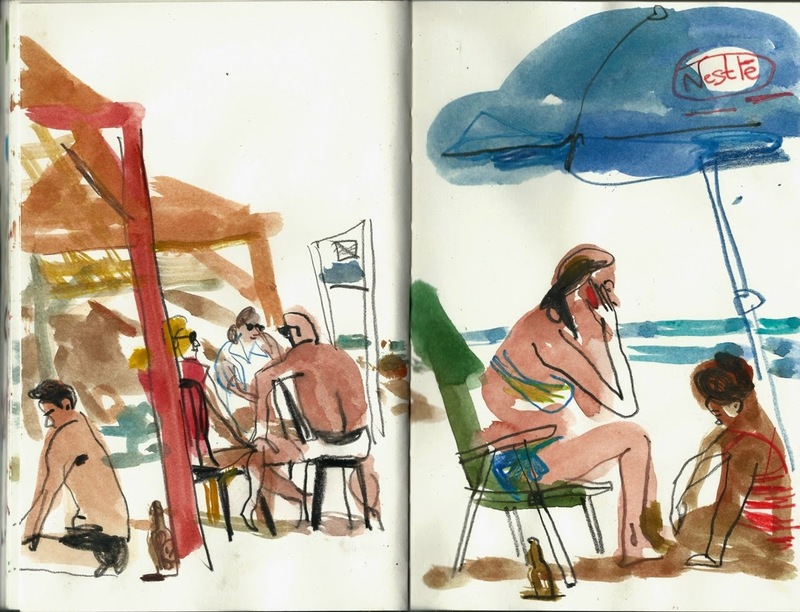 I'm excited to invite you to our, Urban Sketches Israel, first expo, as a part of Illustration Week 2014. 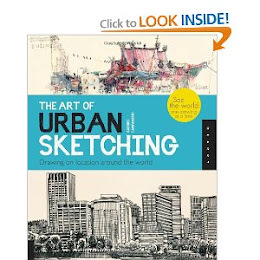 For the past two and a half years, we have been meeting once a month at different sites around the city to sketch together and observe with an attentive and fresh look at this unique urban landscape and its residents. 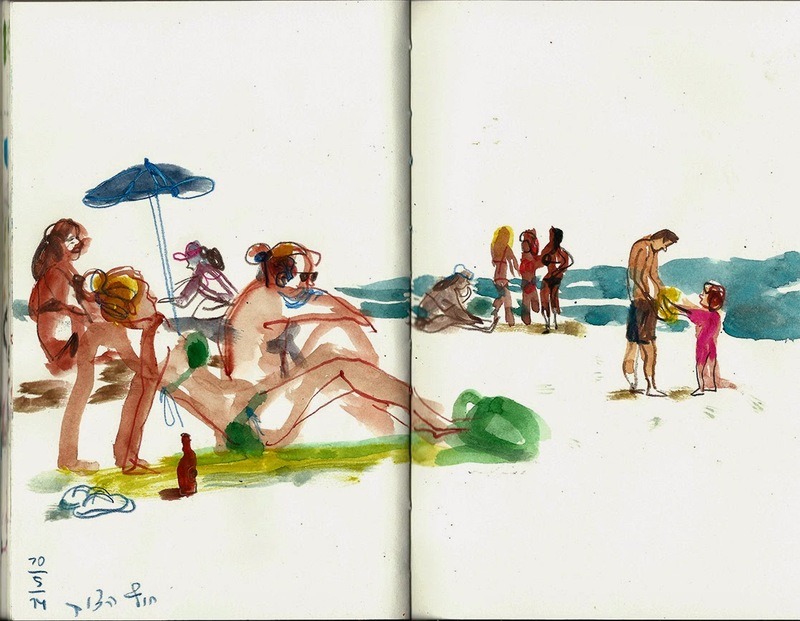 At the exhibition you'll be able to see works from 25 sketchers, each one with his own style and unique point of view. A lot of work had already done, there is still a lot preparation left. 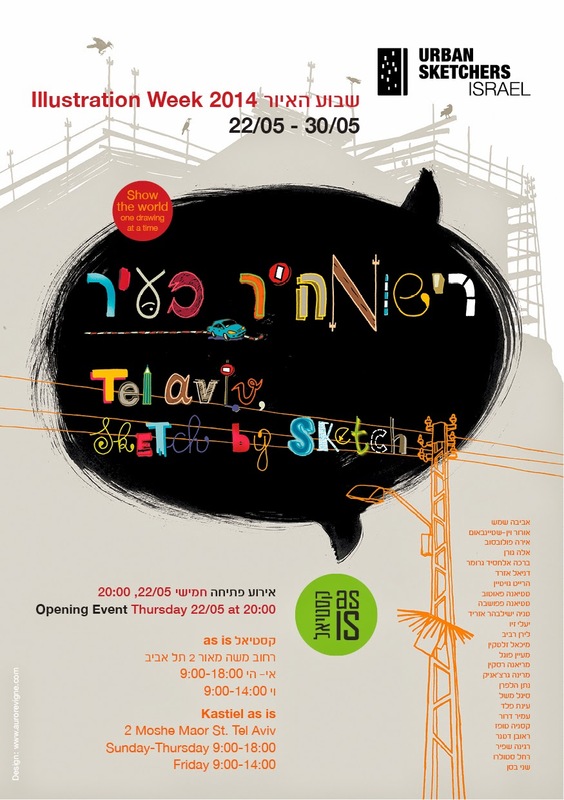 If you're in Israel - hope to see you at the opening: 22.05, 20:00. 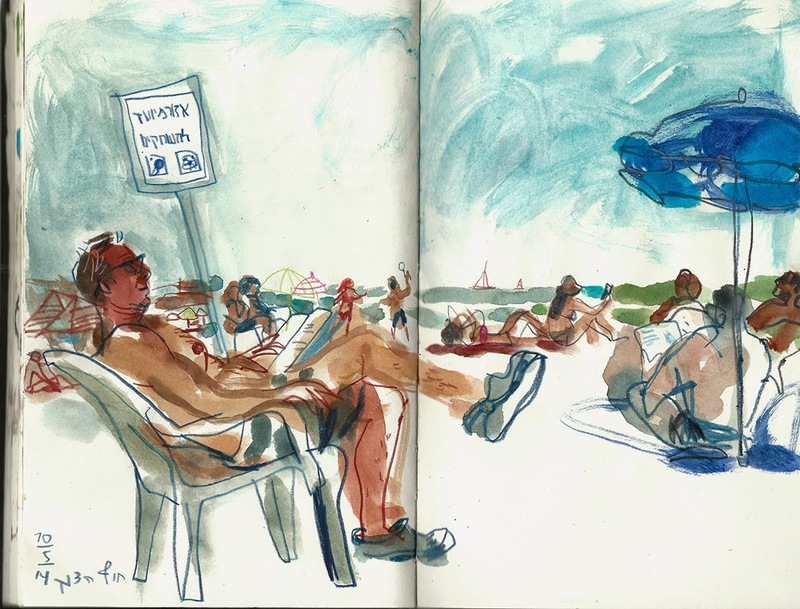 Come and see Tel Aviv, one drawing at a time! For more info (in Hebrew).